Credit: ESA/ISO, ISOCAM Team and L. Nordh (Stockholm Observatory) et al. 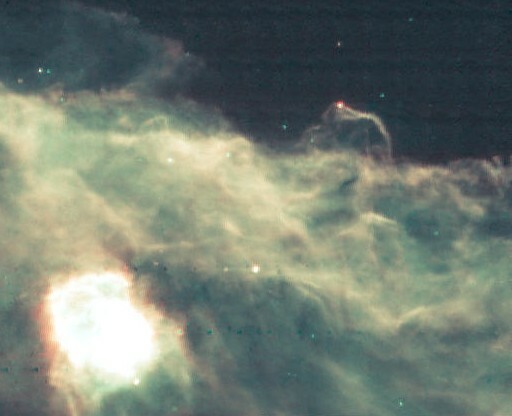 Explanation: This famous cosmic dust cloud was imaged in infrared light by the European Space Agency's Infrared Space Observatory (ISO) satellite. 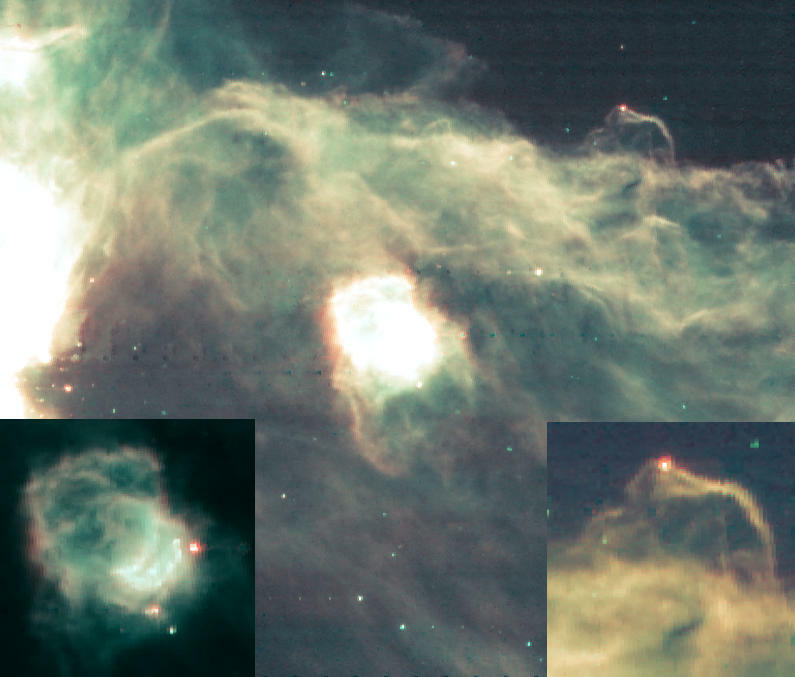 The false-color picture shows the bright infrared emission from dust and molecular gas in part of the Orion star forming region surrounding the Horsehead Nebula. In visible light, the horsehead-shaped dust cloud looks dark against a background of bright glowing gas. But in this image, the interstellar infrared glow engulfs much of the horse's head. Just above and to the right of center, only the top remains crowned by a bright, newborn star. The very bright object at the lower left is the reflection nebula NGC 2023, a dense concentration of interstellar gas and dust which is also associated with newly formed stars.